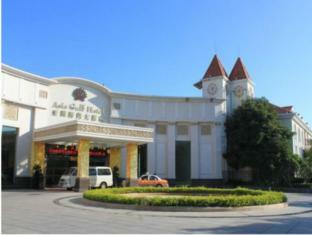 Xiamen Asia Gulf Hotel is a popular choice amongst travelers in Xiamen, whether exploring or just passing through. The hotel has everything you need for a comfortable stay. Express check-in/check-out, bar, elevator, newspapers, meeting facilities are on the list of things guests can enjoy. Guestrooms are designed to provide an optimal level of comfort with welcoming decor and some offering convenient amenities like balcony/terrace, satellite/cable TV, wake-up service, bathtub, internet access – wireless (complimentary). The hotel’s peaceful atmosphere extends to its recreational facilities which include indoor pool, spa, massage, pool (kids), table tennis. Xiamen Asia Gulf Hotel is an excellent choice from which to explore Xiamen or to simply relax and rejuvenate.